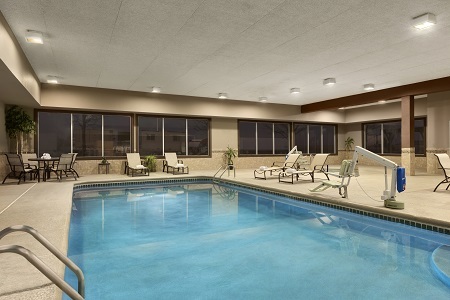 Welcome to the Country Inn & Suites® by Radisson, Sidney, NE, which offers quiet hotel rooms near I-80. 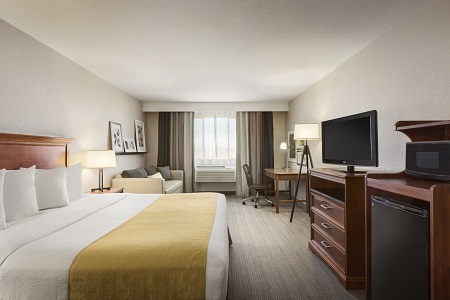 Whether you’re staying for one night or one week, you can enjoy comfortable, pet-friendly accommodations with free high-speed Internet access. We’re less than one mile from Cabela's World Headquarters and retail store, so you can easily attend meetings or purchase outdoor gear. Need a place to use your new equipment? Both the Deadwood Walking/Biking Trail and the Sidney Shooting Park are less than 10 minutes from our property. If you need additional space to prepare for meetings, reserve one of our Business Suites with a sleeper sofa. 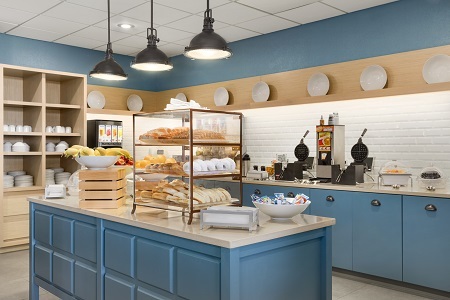 Begin your day with a filling meal from the complimentary, hot breakfast. Served in our dining room, this spread features favorites like golden waffles, eggs, cereals, yogurt and coffee. Hungry for lunch or dinner? Several restaurants are less than one mile from our property, including Perkins Restaurant & Bakery and Buffalo Point Steakhouse & Grill. Cabela’s World Headquarters & Store – Our hotel is just five minutes from Cabela’s corporate headquarters and its accompanying 85,000-square-foot store. Stop by to pick up some outdoor gear or to take photos of the taxidermied animals. Fort Sidney Complex – The Fort Sidney Complex is less than 10 minutes from the hotel. You can tour the commander’s house, furnished with 19th-century pieces, and the original powder house while learning about Sidney’s history. Deadwood Walking/Biking Trail – Located three miles away in Legion Park, the Deadwood Trail is a beautiful three-mile path. Facilities in the park include an outdoor swimming pool, baseball fields, a playground, a skate park and tennis courts. 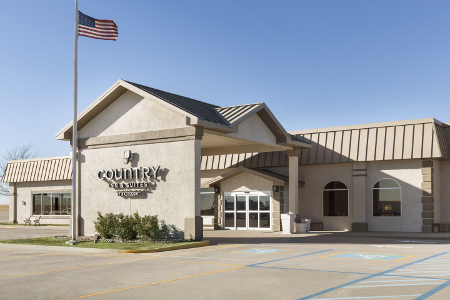 Whether you’re planning a business meeting or a wedding reception, you can host events of up to 350 people at the Country Inn & Suites. 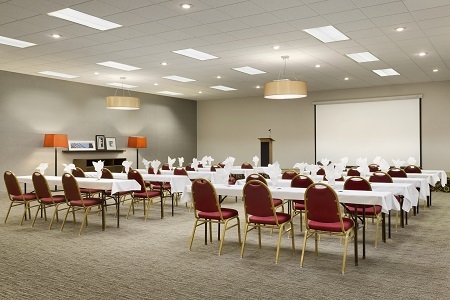 We provide a professional meeting space with an LCD projector, a DVD player and free high-speed Internet access. Our skilled staff can help you arrange every detail, from catering to room setup.